SKU: BD28913. Categories: Games, Trivia & Puzzles. Tags: pop culture, pre-teens, teenagers, teens, Trivia. 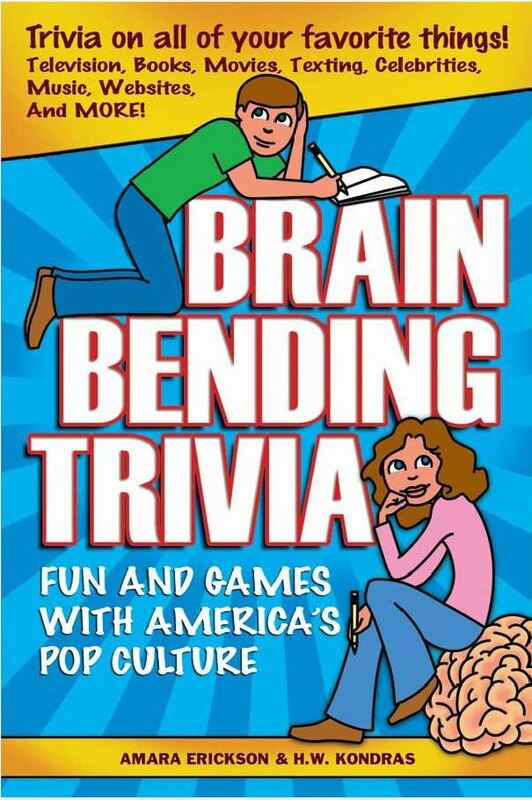 Brain Bending Trivia: Fun and Games with America’s Pop Culture will keep boredom at bay and bend your brain with this exciting collection of puzzles, games and trivia about the stuff you like! Do you know…~The name of Squidward’s nemesis? ~Who won the 2009 Teen Choice Award for the Best Liplock? ~What is Peter Parker’s secret identity? ~Who wrote Twilight? ~What ^5 means in a text message? ~Who won the 2006 Super Bowl? You’ll have a great time with this assortment of fun activities, and –who knows– you might even learn a few new things! Pre-teens and teens alike will have a blast challenging their knowledge of pop culture from a few years back with Brain Bending Trivia! Indiana Crosswords features many crossword puzzles about Indiana history, Hoosier entertainers, sports figures, and other famous Indiana people and places.